The 14kt yellow gold Halo ring has a clean, simple design for one 5x3mm oval genuine stone and two engraving areas. 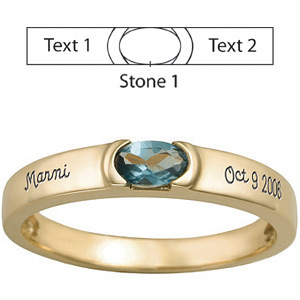 Engrave up to 12 characters in each engraving area. Import.